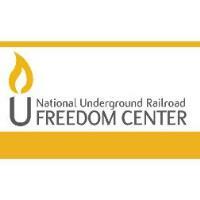 CINCINNATI, OH (August 23, 2018) – The National Underground Railroad Freedom Center invites the media to attend John & Francie Pepper Freedom Lecture Series with Dr. Carol Anderson today, August 23, at 6:00 p.m. The John & Francie Pepper Freedom Lecture Series connects the public with award-winning authors, historians and thought-leaders, discussing themes on history, race, culture and modern abolition. Dr. Carol Anderson is the Charles Howard Candler Professor and Chair of African American Studies at Emory University. Her research and teaching focus on public policy; particularly the ways that domestic and international policies intersect through the issues of race, justice, and equality in the United States. Anderson’s new book, White Rage: The Unspoken Truth of Our Racial Divide is a New York Times Bestseller and won the National Book Critics Circle Award for Criticism in March 2017. As Ferguson, Missouri, erupted in August 2014, and media commentators across the ideological spectrum referred to the angry response of African Americans as 'black rage', Anderson wrote a remarkable op-ed in the Washington Post showing that this was, instead, "white rage at work. With so much attention on the flames,' she wrote, 'everyone had ignored the kindling." When: Today, August 23, 2018, at 6:00 p.m.